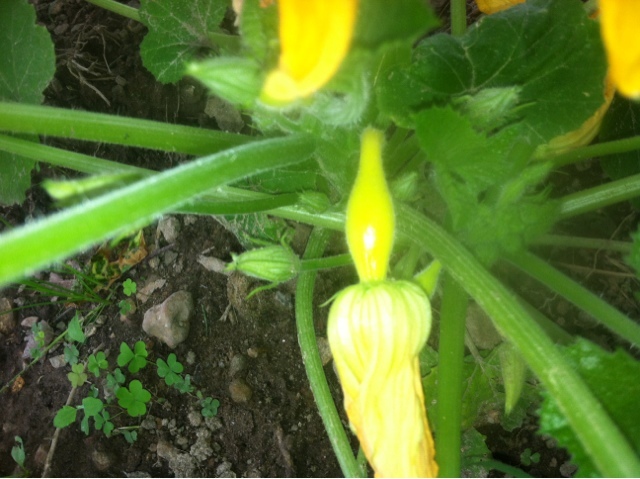 Earthy Mama: The garden is producing! The kids are so excited to see what we grew from seeds! To be honest no mater how many times I have a garden it still impresses me. I actually pulled a zucchini off while it was still small today and boiled it with cabbage and potatoes for dinner. It was amazing! I'm using the jalapeño and the banana peppers to make Cowboy Candy (a sweet/hot canned pepper). 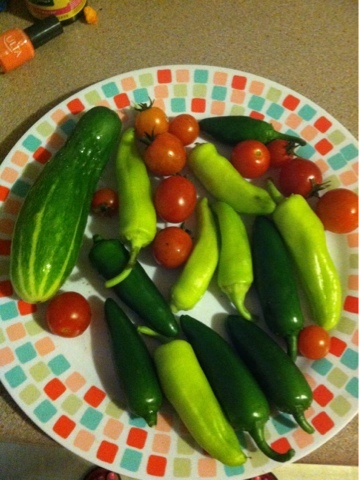 The kids just munch on the tomatoes and cucumbers!